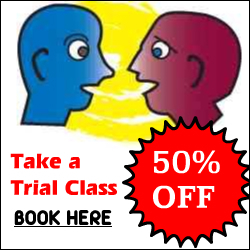 Taking a trial class is very easy. You only need to pay the trial class fee of £9.99 and immediately afterwards you can reserve your class directly on the class reservation page. Try it out! Did you know? you can reserve your class time and day up to 4 weeks in advance. Reserve your class today by visiting the class reservation system. Remember that before reserving a class that you need to buy your class credits from the class payments page. Enjoy !